Place a medium skillet, over medium heat and add 2 tablespoons of olive oil. Add potatoes and top with a lid for 5 minutes. Remove lid and stir the potatoes. Cook for five minutes more. 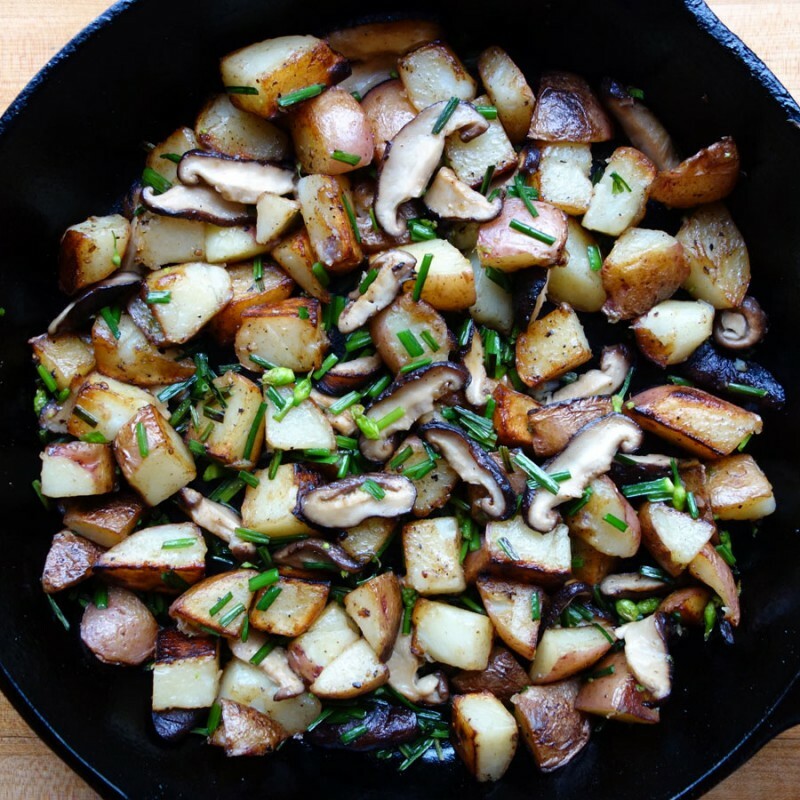 Add the mushrooms and continue to sauté, stirring occasionally, until the potatoes and mushrooms are cooked, then add the garlic chives. Season with salt and freshly ground black pepper to taste and cook for 1-2 minutes longer. Remove from the skillet to the serving dish and top with cheese if using. You can substitute rehydrated Chinese mushrooms if you can’t find the fresh ones. You can also use your favorite mushrooms instead or a combination of mushrooms.